WASHINGTON - The U.S. Department of Commerce (DOC) yesterday issued a preliminary average duty of 22.14% on Chinese hardwood plywood drawing immediate protests from a group of hardwood plywood importers. The American Alliance for Hardwood Plywood (AAHP) issued a press release charging, "A protectionist campaign issued by a handful of domestic companies has resulted in U.S. manufacturers being hit with more duties on Chinese hardwood plywood even after the U.S. government found that all individually-investigated exporters did not engage in 'dumping' (unfair pricing)." The DOC's latest ruling stems from an unfair trade petition filed on Sept. 27, 2012 by the Coalition for Fair Trade of Hardwood Plywood (CFTHP), an organization composed of U.S. manufacturers of hardwood and decorative plywood, The petition called for the establishment of countervailing and antidumping duties based on the extensive data submitted by the coalition. Reuters reported that the 22.14% duty applies to plywood made or exported by 101 Chinese companies. Two companies, Linyi San Fortune Wood Co. Ltd. and Jiangyang Group were exempted from the duties, while all other Chinese hardwood plywood exporters not named are subject to preliminary duties of 63.96%. The U.S. International Trade Commission estimated that $707.3 million worth of Chinese hardwood plywood was imported annually, representing about one-third of the total consumed in the U.S. The USDOC antidumping determination is preliminary, and a thorough review of the process and methodology behind the 22.14% rate will take place before a final determination is made currently scheduled for mid July. Final rates could adjust up or down. The countervailing duty investigation has examined whether or not the Chinese government conferred illegal subsidies on exports of hardwood plywood. All three investigated companies were found to have received no subsidies. The AAHP, which includes the Kitchen Cabinet Manufacturers Association (KCMA), Northwest Hardwoods and 12 other wood importers, said the DOC's ruling will result in supply shortages and cost increases to U.S. manufacturers of cabinets, furniture, architectural woodwork and other products. The AAHP claims the DOC's investigation has failed to prove that any of the companies received unfair trade subsidies from the Chinese government or were selling their products at unfairly low prices in the United States. "Today's preliminary antidumping determination reflects what our alliance has stressed from the beginning -- Chinese hardwood plywood producers are not engaged in predatory pricing," AAHP co-chair Greg Simon said in a statement. "Unfortunately, our own government continued its bias against imports and imposed duties anyway. The domestic petitioners are seeking a competitive advantage through this investigation, but their fallout will be far-reaching-supply disruption, price volatility and longer lead times, negatively affecting the petitioners very own customer base. These unfair duties will be felt throughout the imported and domestic supply chain by many U.S. manufacturers and the thousands of people that they employ." Speaking on behalf of original petitioner CFTHP, Attorney Jeff Levin, Levin Trade Law, said in a statement in February that the CFTHP “will be documenting additional subsidy programs, which could add to the margins by the final determination.” The initial petition, filed on behalf of Columbia Forest Products, Roseburg Forest Products, States Industries and other domestic hardwood plywood manufacturers, documented antidumping and countervailing duty margins in excess of 300 percent. "Manufacturing is trying to make a comeback and to do that we need a strong global supply of raw material that can be manufactured into high demand consumer products right here at home by American workers," said AAHP co-chair Gregg Wilkinson. "When the U.S. government applies duties on imports even after finding no subsidies and no dumping it is hard to view the process as anything but protectionist. The irony is that the unfair tariffs instigated from this protectionist campaign will harm the U.S. market and the only free trade we will see is the export of U.S. jobs to China." 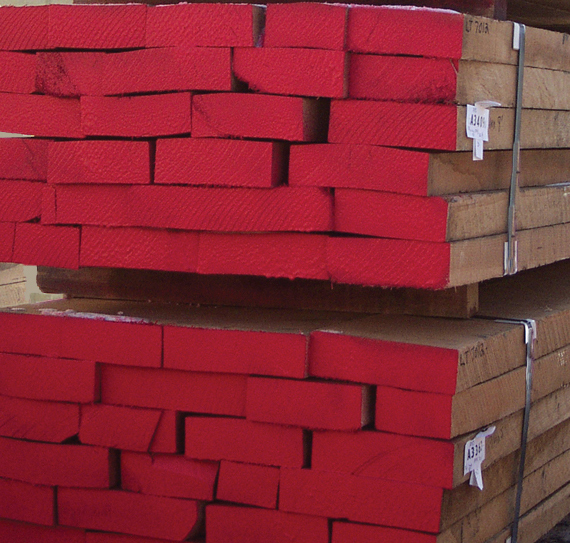 In a previous statement to its customers, Timber Products, a member of the CFTHP, said, "Chinese hardwood plywood has emerged as a substantial part of the North American marketplace through what we believe to be unfair trade practices. This preliminary determination is the first in what we see to be several steps by the federal government that could drastically change the price and availability of Chinese hardwood plywood sold in the U.S."